At the mid-way point of 30A, between Seagrove Beach and Watercolor is where you'll find Seaside, Florida real estate. Founded in 1981, this picturesque New Urban Town is thoughtfully designed to include a vibrant town center filled with unique shops, galleries & world-class restaurants. Situated on 80 acres with a half mile of beach-frontage, homes are located within a leisurely 5 minute walk or bike ride to the town center & beach. 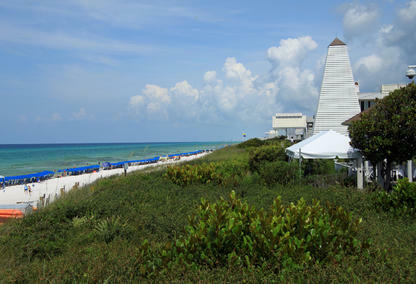 Seaside, FL is home to one of Florida's first Charter Schools. BOOKMARK YOUR DREAM SEASIDE BEACH HOME TODAY! Seaside Homes for Sale Along the Ocean! Founded by Robert and Darrel Davis in the early 1980s, the community's style and spirit is unlike any community along this scenic coastline or anywhere. Designed to be eminently walkable, the Seaside homes for sale are all within easy walking distance to the community's quaint New Orleans-style shopping district. The district features 12 restaurants in addition to 40 boutique shops and galleries that provide hours of enjoyment to locals and visitors alike. Positioned on 80-acres along 2600 plus feet of sublime sugar-white sand, the Seaside homes for sale lie 29 feet above sea-level. 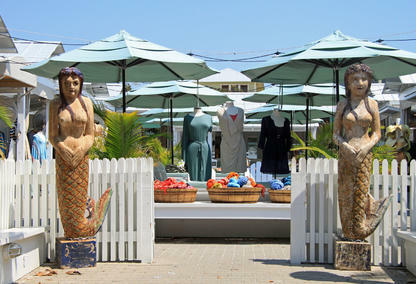 No matter where you are in the area, you are never far from the beach. The picturesque coastline boast nine architecturally unique beach access pavilions that mark sandy trails leading to the ocean. Beautiful Homes for Sale in Seaside, FL: An Intoxicating Spirit! Above all, a successful development needs to cultivate a real sense of community. 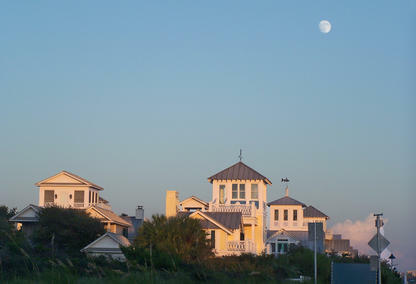 In this regard, the homes for sale in Seaside, FL are a smashing success! The award-winning community was voted the "best beach in the world for families" by Travel + Leisure, and among the "top beach towns in Florida" by Dr. Beach. The acclaim isn't surprising. Beyond the singular beauty of the landscape and serene ocean views, the town's intelligent lay-out has helped to create a thriving community spirit. The area's central amphitheater hosts a weekly farmer's markets in addition to countless concerts and movies on the lawn throughout the year. Plus, the ever-popular Seeing Red Wine Festival takes place each November. Feel free to contact us to learn more about the stunning Seaside homes for sale, or any of the other picturesque community's along the scenic 30A coastline. Davis Properties of Northwest Florida opened their first office in Seaside's Central Square; although their office has now moved, they still fully service the entire community!